Brandon E. Bass | Nashville Personal Injury Lawyers The Law Offices of John Day, P.C. Brandon Bass chose a career in law because he is inspired by the justice system, and enjoys solving problems creatively. He is skilled at finding solutions to issues that others may have overlooked, which makes him the perfect advocate for his clients. 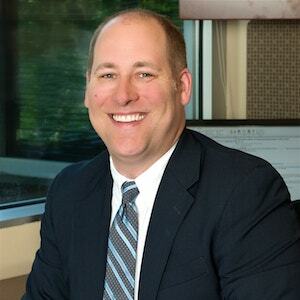 Brandon has more than 15 years of experience successfully representing clients in hundreds of injury cases including medical negligence, product liability, child sexual abuse, tractor-trailer and commercial vehicle accidents. One of Brandon’s great joys is delivering exceptional results to to his clients facing the worst challenges of their lives. Clients do not come to Brandon because they ever wanted to file a lawsuit - they come to Brandon because they need help for a loss they never expected would happen to them. They face adversity they never anticipated, and worry about how to best protect themselves and their families’ financial futures. Brandon takes great pride in facing challenges head-on, and shaking his client’s hand after a favorable outcome has been rendered in their case. You can have confidence knowing that Brandon will deliver exceptional legal representation to you and your family because of his broad range of knowledge and years of experience practicing law in Tennessee. Brandon is an accomplished attorney, and has received numerous distinctions for his work both in and out of the courtroom. In 2017, Brandon received the "Outstanding Trial Lawyer of the Year" Award from the Tennessee Trial Lawyers Association for "achieving outstanding results for clients against great obstacles." Brandon was also selected for the Nashville Business Journal's “40 Under 40” award for excellence in his field. Furthermore, Brandon has been named a Mid-South Super Lawyer since 2012; achieved an AV® Preeminent™ ranking from Martindale-Hubbell through its peer-review system since 2011; holds an Avvo 10 out of 10 rating; and has been chosen by Best Lawyers in America for his work as a Personal Injury Litigation - Plaintiffs attorney. Brandon has authored a number of articles for the Tennessee Bar Journal and Trial Magazine, and served as the Associate Editor for Tennessee Tort Law Letter and Tennessee Trial Law Report. In addition, Brandon has delivered more than a hundred CLE speeches throughout the Southeastern United States. Brandon lives in Brentwood, Tennessee with his wife Jessica. When he’s not practicing law, you can find Brandon spending time with his wife Jessica and two children, Sophia and Graham, playing tennis, canoeing and cooking. Salt in the Wound: How Several Liability Aggravates the Harm to Innocent Plaintiffs, Tennessee Bar Journal, October 2007. Loss of Earning Capacity in a Case for the Wrongful Death of a Very Young Child, Tennessee Bar Journal, August 2006. Hearings on Reductions to a TennCare Subrogation Interest, The Tennessee Trial Lawyer, Winter 2005-2006. Practice Tip: Establish a Document Organization System, Tennessee Young Lawyer, Winter 2008; reprinted in American Association for Justice Insurance Law Section Newsletter, Vol. 14, No. 3, Summer 2008.